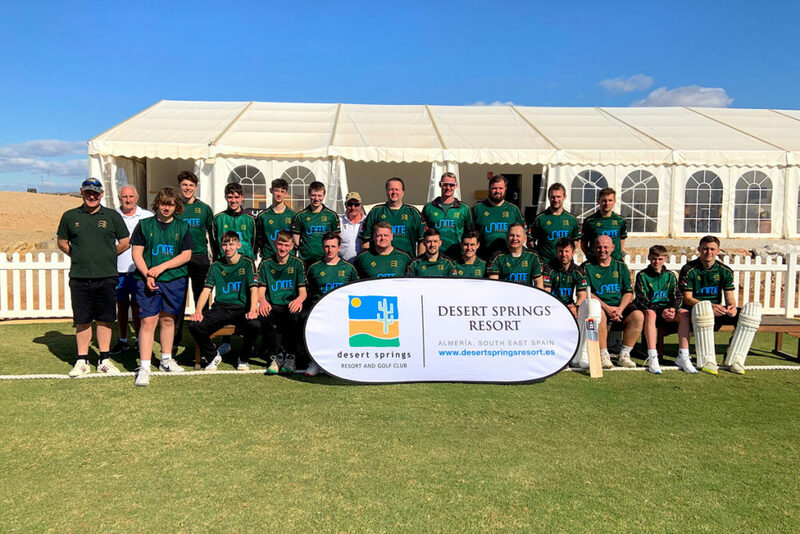 Twenty (20) members of New Farnley Cricket Club, accompanied by four (4) members of coaching staff, are now back in the UK having completed a successful 4-day training camp between Thursday 4th – Monday 8th April at Desert Springs Resort, Europe’s only international award-winning luxury family resort and championship desert golf course with its very own dedicated Cricket Ground and Academy, in the Almanzora region of Almeria, Andalucía in south-east Spain. “Having travelled the world playing cricket I have seen a lot of cricket facilities. Both the nets and the match ground surfaces are right up there with the best. 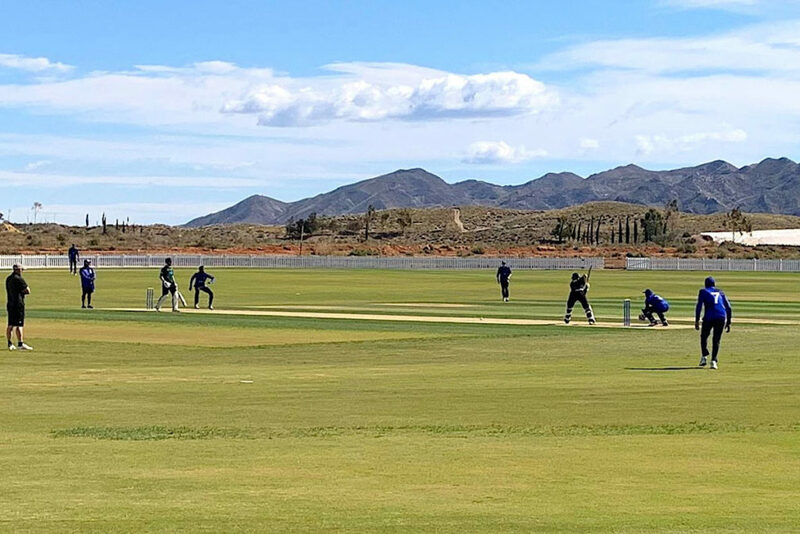 During their stay New Farnley CC competed in a series of three matches at the Desert Springs Cricket Ground against the National Team from Italy who were also at the resort for their own training camp during the same period, and despite a fine effort, the victor of each match was Italy. 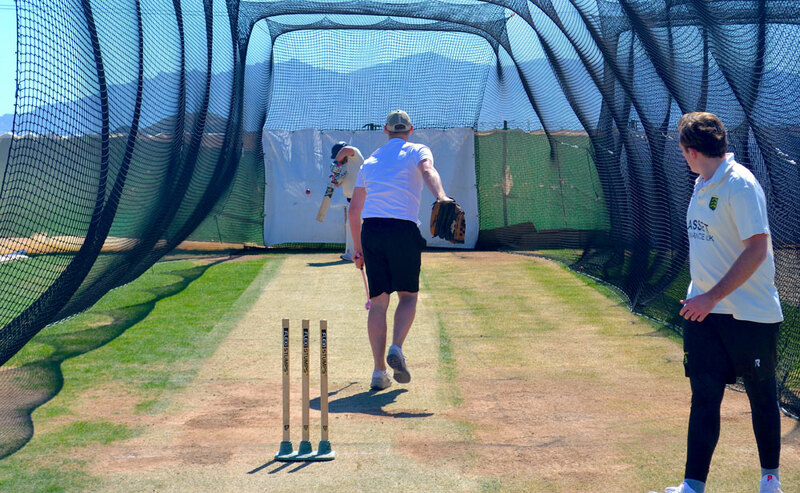 Between Thursday 4th – Monday 8th April, New Farnley Cricket Club will be stepping up their preparations for the 2019 cricket campaign by attending a four (4) day warm weather pre-season training camp with scheduled competitive matches at the Desert Springs Cricket Ground & Academy. New Farnley Cricket Club was established in 1952 and is based at the Barry Jackson Ground in New Farnley Village Leeds. The cricket club supports a 1st XI, 2nd XI & 3rd XI senior teams, juniors age group teams from U.9’s to U.15’s and a Sunday social team. The first and second teams are in Division 1 of the JCT 600 Bradford League. 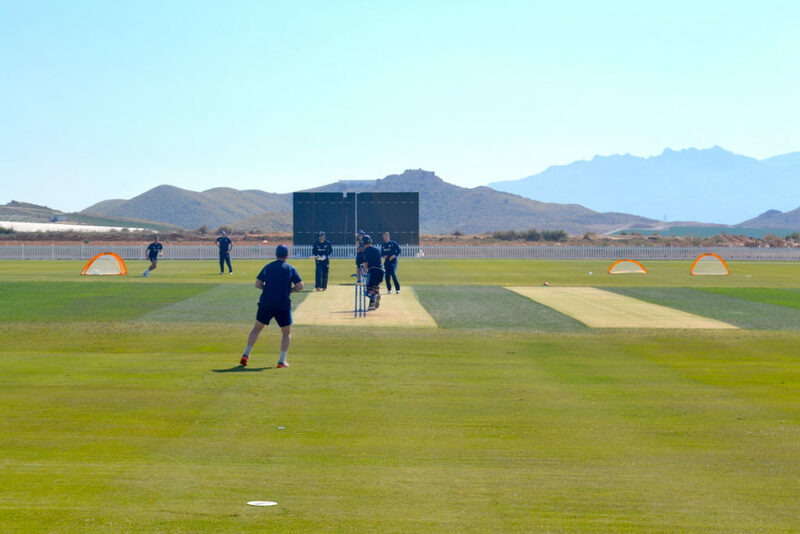 The training camp will comprise twenty (20) players and four (4) coaches, all of whom will be spending their time completing a specific and carefully planned programme of numerous training sessions each day covering technical skills, fielding drills, bowling and batting, strength and conditioning and both individual and group activity. 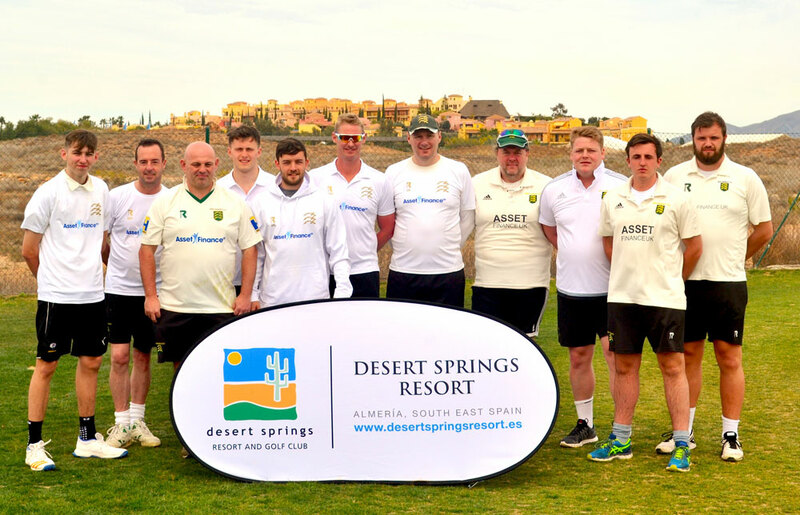 New Farnley Cricket Club shall compete against the Italy National Cricket Team who are also at Desert Springs for a training camp during the same period, in a series of three matches at the Desert Springs Cricket Ground during their stay. The first, a 50-Over match on Friday 5th April commencing at 10:30hrs. The second a T20 Match on Saturday 6th April commencing at 11.00hrs. and the last a T20 Match on Sunday 7th April 14:00hrs. Spectators are welcome! 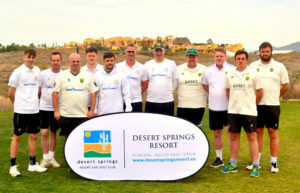 Thirteen (13) members of the New Farnley Cricket Club, accompanied by one (1) member of coaching staff, are now back in England having completed a successful 3-day training camp between Tuesday 27th – Friday 30th March at Desert Springs Resort, Europe’s only international award-winning luxury family resort and championship desert golf course with its very own dedicated Cricket Ground & Academy in the Almanzora region of Almeria, Andalucía, south-east Spain. “Having been to Desert Springs a number of times, I keep coming back for a number of reasons. The facilities really are sensational, matched by the levels of customer service, and when you are almost guaranteed great weather, then you’ve hit the jackpot! 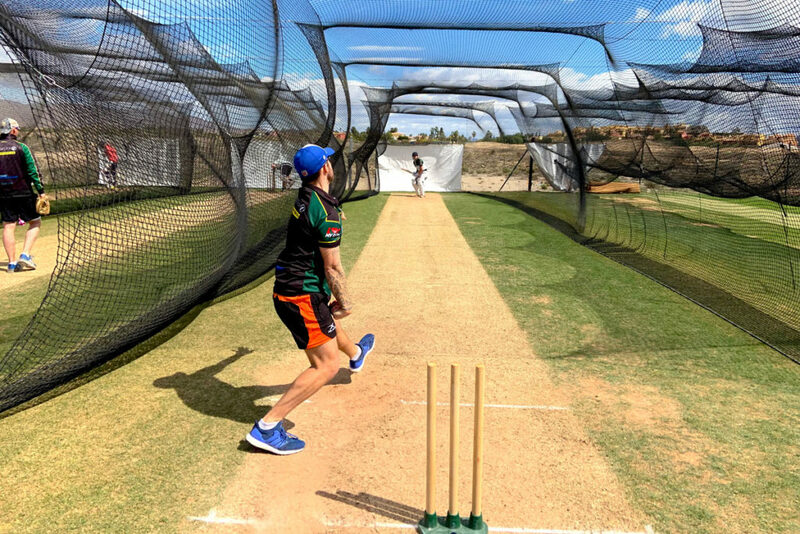 Between Tuesday 27th – Friday 30th March, New Farnley Cricket Club will be stepping up their preparations for their 2018 cricket campaign by attending a three (3) day pre-season training camp at the Desert Springs Cricket Ground & Academy. New Farnley Cricket Club was established in 1952 and is based at the Barry Jackson Ground in New Farnley Village Leeds 12. The cricket club supports a 1st XI, 2nd XI & 3rd XI senior teams, juniors age group teams from U.9’s to U.15’s and a Sunday social team. The first and second teams are in Division 1 of the JCT 600 Bradford League. Junior teams play in the Heavy Woollen Junior Cricket League. 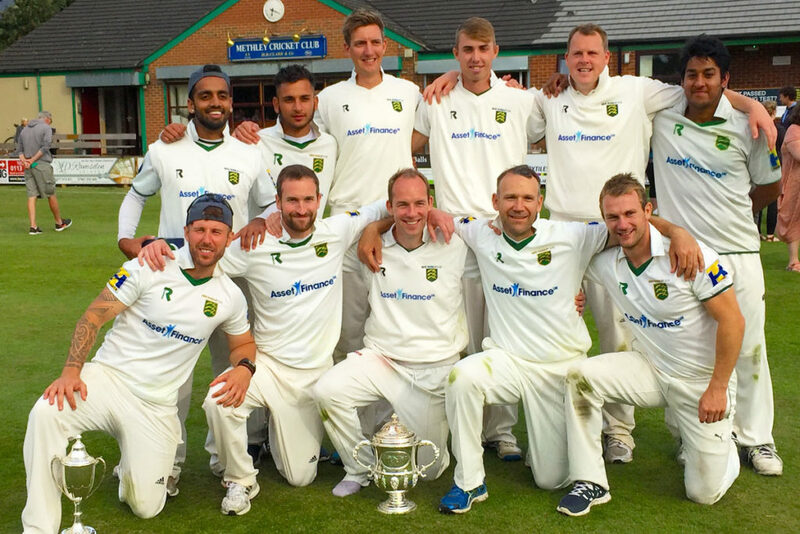 The 1st team recently won the Priestley Cup for the first time in their history and the 2nd team recently won the league on the last day of the season. The team training camp will comprise a squad of Eighteen (18) players and coaching staff, all of whom will be spending their time completing numerous training sessions each day. Grass net practice, both bowling and batting will take place at the Cricket Academy, with strength and conditioning sessions, running, speed and agility work taking place at the Academy Ground. Accommodation for the players and coaches is in some of the privately-owned apartments and townhouses at Desert Springs Resort normally reserved for holidays and short breaks and the resort’s executive chef will be on hand to cater for the special dietary requirements of individual players dining in both the resort’s Crocodile Club and El Torrente Restaurant.